In a carefully-planned move, Phil has created an employee ownership trust, designed to reward team members for their loyalty over the years and to safeguard their future. At the same time, Phil steps down as managing director, takes up as temporary position as Westcotec chairman and hands over the running of the business to a senior management team led by new MD Chris Spinks. The move comes at an exciting time for the technology firm, with a current turnover approaching £3 million and a headcount of 25 employees. There has been global interest in its line-up of vehicle-activated signs, and an increasingly busy schedule of demonstrations and events for the sales team. Reflecting on the new-look organisation, Phil said he was proud to mark the beginning of an exciting new chapter. “I was on my own when I set up Westcotec in 2001,” he explained. “As orders came in, I quickly needed to take on a sales person and a full-time installer. The company has continued to grow, but I believe we have retained the core values that guided me at the start: that our work could help save lives, and that we must constantly seek to innovate and improve. “I have no doubt that Chris and the team will retain those values as they drive the business forward in the years to come. Chris Spinks, who for the past two and a half years has been part of the Westcotec sales team, spoke of the pride he felt in stepping up to his new role, and of the responsibility that would go with it. “I had a fantastic 30 years in the police force, and when I joined Westcotec it was not with the intention of moving into management,” he said. “But I am passionate about road safety and I feel very fortunate to have this opportunity, where we can play our part to reduce the unacceptably high level of death and serious injury on roads across the world. 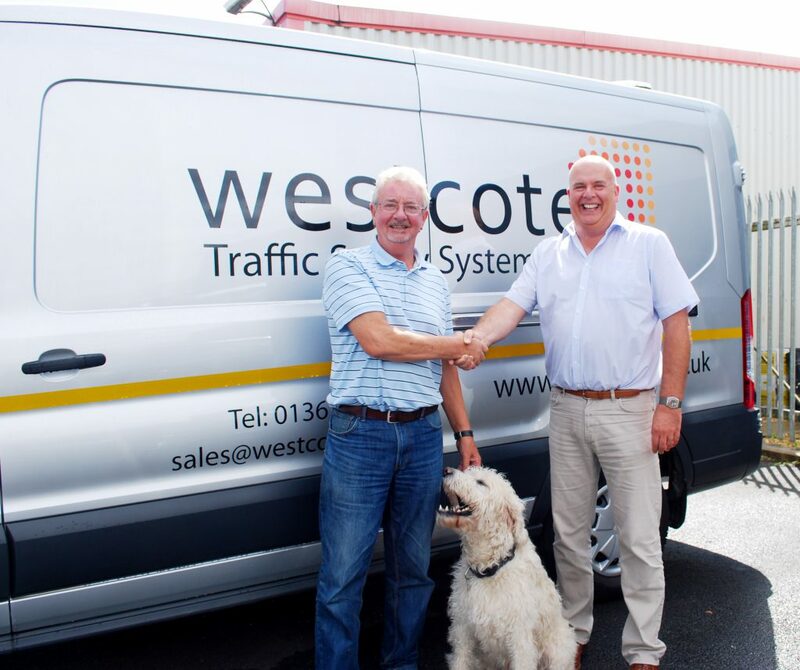 Westcotec made the headlines last month with the launch of its new roadside mobile phone detection system. The firm continues to be an enthusiastic sponsor of Project EDWARD, the European Day Without A Road Death.